California labor law poster makes compliance simple. 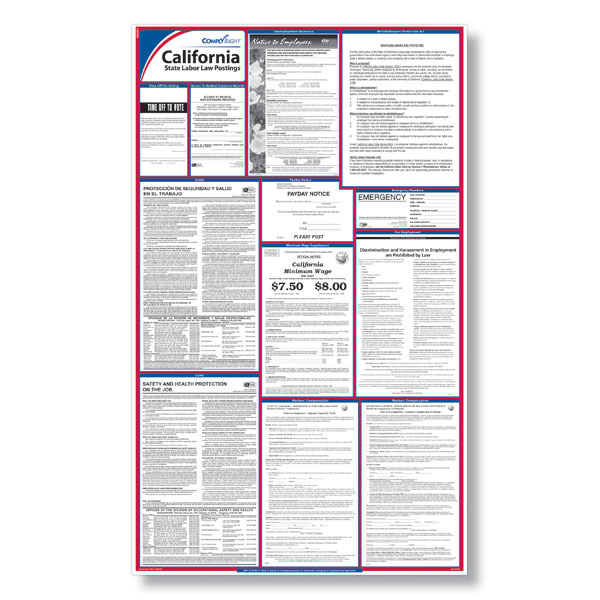 The ComplyRight California Labor Law Poster includes every mandatory posting you need and is the only one that maintains the exact size, type fonts and layout of the official postings released by government agencies. California state labor laws change and update frequently. With ComplyRight posters, there is no reason to put your business at risk of falling out of compliance.